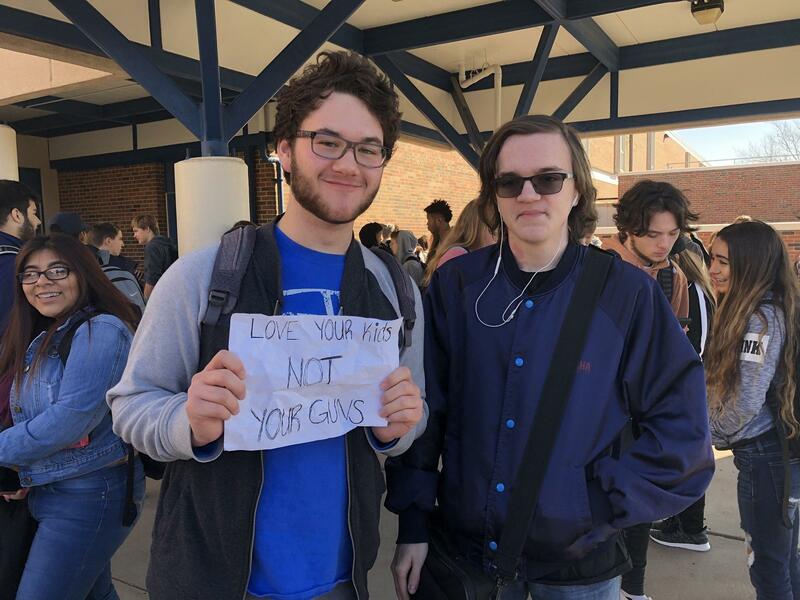 Oak Park High School students who participated in a national day of school walkouts had a message for their community. Students throughout the Kansas City metro exercised their right to free speech on Wednesday morning, leaving their schools to observe 17 minutes of silence in recognition of those killed at Marjorie Stoneman Douglas High School in Parkland, Florida, last week. At Oak Park High School in the North Kansas City School District, where students organized a forum to discuss school security last week, hundreds of students began filing out of the building at 10 a.m., then stood shoulder-to-shoulder in a tight circle. Some of them held signs pleading for lawmakers to love kids more than guns. Sophomore Malea Biswell, who had helped organize the walkout, spoke with KCUR's Gina Kaufmann live on Central Standard as these events were taking place. "I was inspired by the students in Florida who have been the victims of this terrible tragedy but they created a movement, they have started something that's really important," Biswell said. "I was inspired by the fact that I am only 16 so I cannot vote legally, so this is a chance to share my voice as a minor who doesn't have one yet. This is a chance for me to be able to be part of a movement, be a part of unifying all of us kids who don't want to be shot in our schools." Parents and school administrators had been supportive, Biswell said. "The administration was all for it," she said. "They weren't really a fan of the fact that we were going outside of the building. That scared them a little bit, but they aren't giving us truancies or absentees. People in the schools don't want us getting shot either." Back on the Missouri side, reporters from other news organizations were posting photos and videos from other schools. When the walkout was over at Oak Park High, students walked back into the building chanting, "We are the change." Biswell told Kaufmann she's always fearful now of being shot at school. 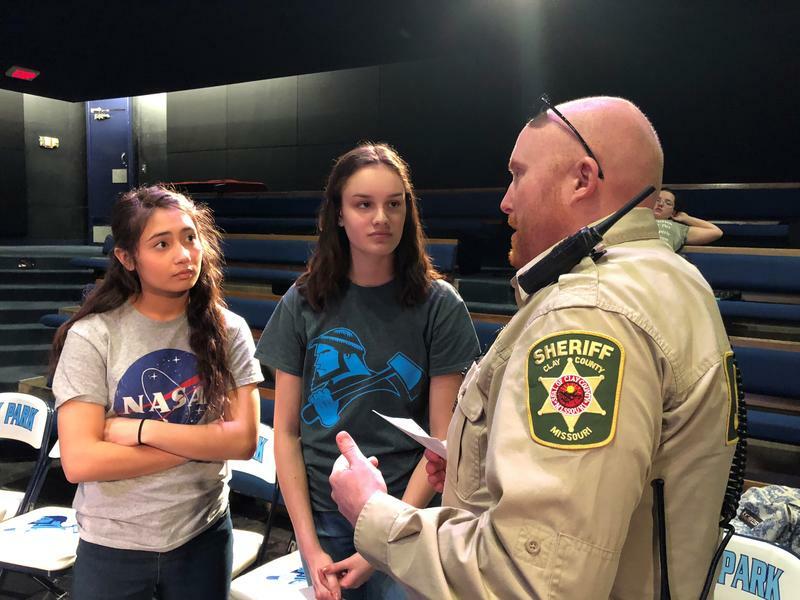 "It really does worry me every day that there are more and more kids dying, that the rate of injuries and the rate of death grows every day, and it's because of shootings that happen at school," Biswell said. "School is supposed to be the best place for us to be." C.J. Janovy is KCUR 89.3's digital content editor. You can find her on Twitter, @cjjanovy. KCUR education reporter Elle Moxley contributed reporting to this story. You can reach her on Twitter @ellemoxley.